Live near the beach? Grab your swimsuits and go enjoy the slow swooshing sound of the waves as they crash against the shore. Anne Gherini shared in this INC article research about the benefits of going to the beach (as if we needed another reason …smile). From the points listed, here I share my top 3. Remove the Blues. Stare at the ocean and get to that relaxing meditative State. In this world of mad rush, stress and strain, plan a trip or two to the beach for a quick getaway. Then bask in the Benefits to relax, unwind, reboot. Your Brain cells are sure to recharge pushing you further along the Skewed productivity chain. What is your favorite activity when you grab that delightful book, and get lost in its world of Imagination? Barnes and Noble asked the question. Is it a cup of tea? Your pet? A cozy chair? Foreign? What’s your perfect reading companion? Here I share excerpts of those who enthusiastically shared their favs. Author Dr. Shelly CPosted on February 27, 2018 March 25, 2018 Categories personal-developmentTags #everydayinspiration, beach, Book, career, Dailypost, discover, life, personal-development, postaday, reading, vacation, writer, writing1 Comment on The Perfect Reading Companion…. Sometimes in life you have to just make the move. I jumped 14,000 ft from a skydive high above the sea. The open air, sea, and clouds were all I could perceive. No easy feat. Like a Rube garbed in Costume, I was as scared as ever. But, with a trained guide affixed to my back and the wonders of a reliable parachute, I did it! (yikes)! Today, I encourage you to step out and do whatever you want to do. Simply plan it, and with wisdom…do it even when you’re afraid. Here’s a synopsis of my journey through the eyes of my youngest. Longing for a Quick Getaway? The Beauty and Serenity of Captiva Island, Florida provides just that. As you drive along the coastline you start to feel the Stress of the daily grind slip away. Don’t Succumb. Take a Break from your busy schedule and join us at this Exciting Retreat at the South Seas Island Resort, on November 3rd, and let your 2018 Goals Ascend. Nature’s birds converge at the Edge of the seas. Captiva Island, Florida. 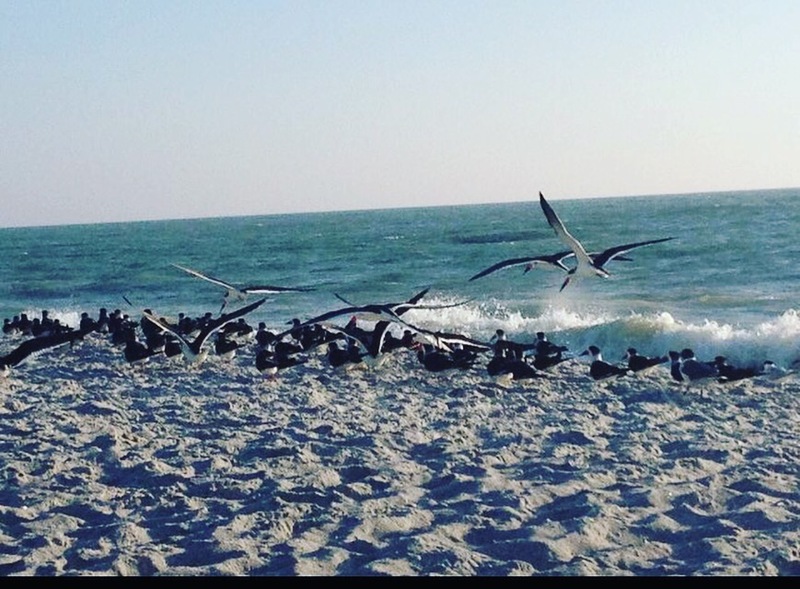 Recharge as the beauty of nature’s birds converge at the Edge of the seas. Captiva Island, Florida.